Total Carat Weight: 3.13 ct. 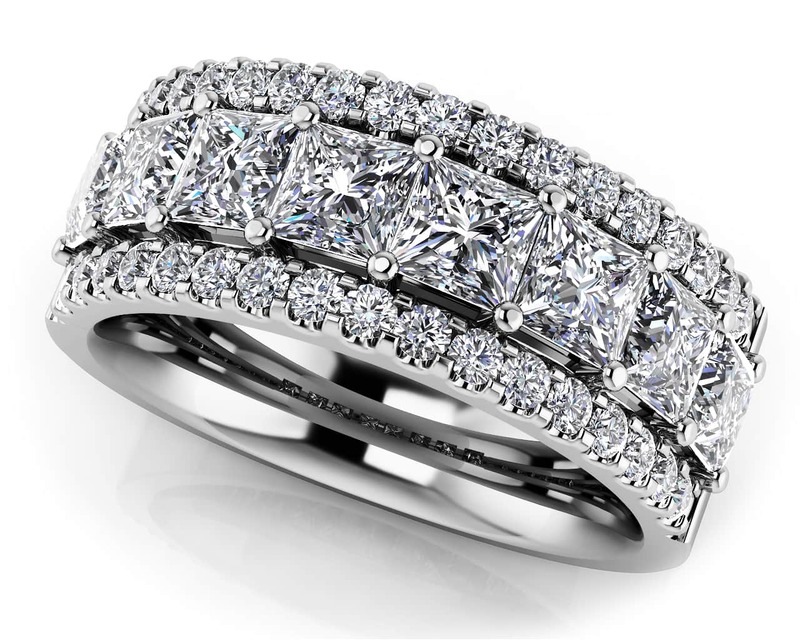 This remarkable ring makes a bold statement that showcases the unforgettable beauty and opulence of diamonds. 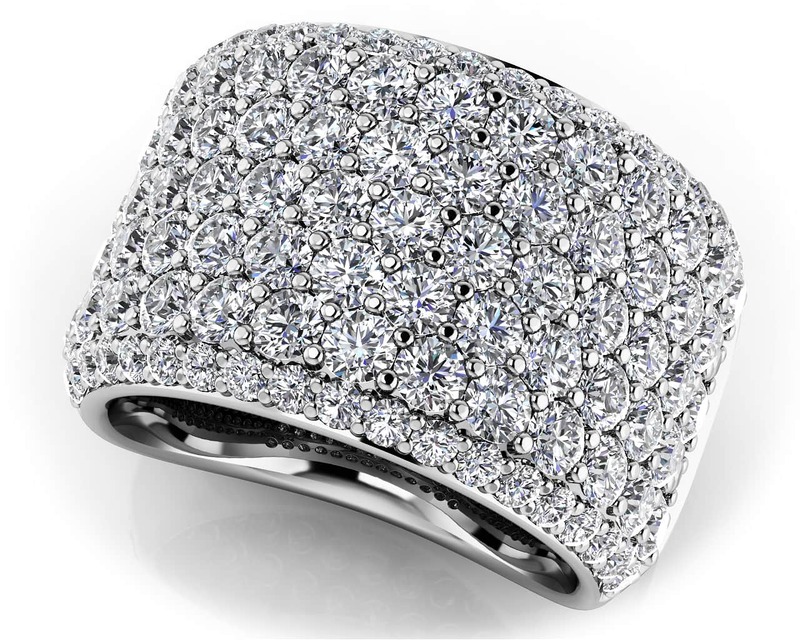 Sparling like none other with 7 rows of brilliant round cut diamonds, this ring features 105 diamonds totaling 3.13 carats. 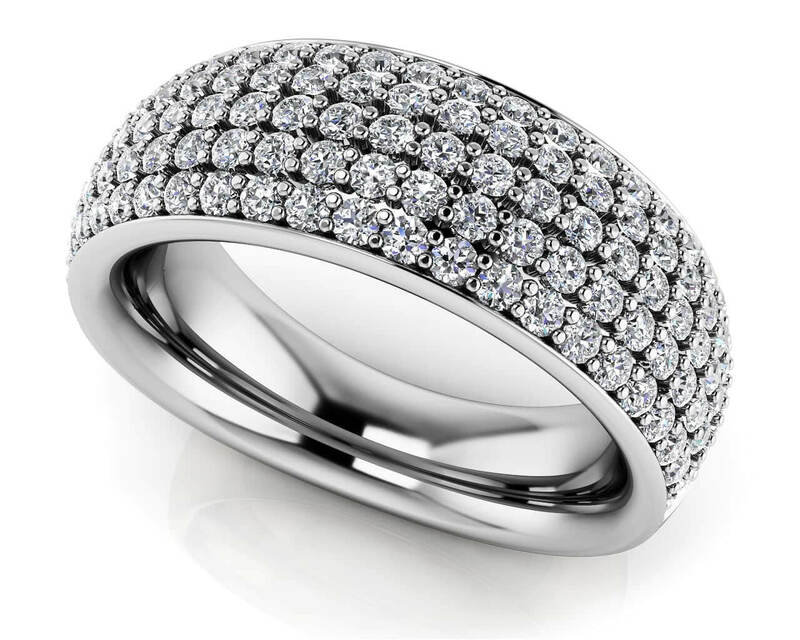 Design yours in a choice of 14 or 18kt gold or platinum setting. Model Carat Weight: 3.13 ct. Effective Carat Weight: 3.13 ct.
Stone Carat Weight: 42X.013 ct., 63X.041 ct.